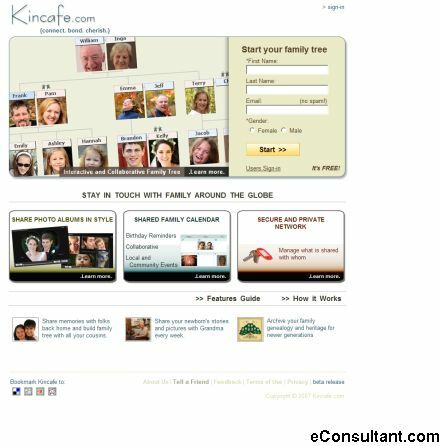 Description : Kincafe is all about connecting, bonding and cherishing loved ones – the ones you grew up with, the ones you care for at the center of your heart. Kincafe brings you the latest updates from your family and friends to you. You can build and link family trees together, remember birthdays and anniversaries, share your photo Albums, blogs and other family treasures such as scrapbooks, interests and family news with all who care most.